For the first time in 16 months, the fog is lifting. I am feeling ‘normal’ over half the time now, and it feels amazing. Most of the time, now, I can cope with the unexpected, I can make decisions, I can bounce back from disappointments. I am regaining creativity in a few directions. I’m managing to think more clearly about what SBJ needs and how we can continue to adapt as he grows. I even threw a pancake party! I still have hard days and hard moments, but for the first time, it feels like the end of postnatal depression is in sight. It’s been a while. As someone said to me early on, the bad thing about postnatal depression is that you’re depressed; the good thing is that it’s postnatal and will go away. Many women find that it resolves seemingly spontaneously. One day they wake up and feel better, or wake up and look at their baby and smile rather than despairing. My experience was of long, slow steps up, rather than a sudden resolution or even a noticeably gradual improvement. SBJ and his dad climbing the steps to Glastonbury Tor (also pictured in the website header above). Between SBJ’s birth and when he was about five months old, I was on a medication with a sedative side-effect. There were good reasons for trying this particular one, but it turned out to be terrible for me. I slept until noon if I could, and sleepwalked through the morning if not. I didn’t feel any better. I cried a lot and felt fairly helpless. It turned out, once we changed to another drug, that about half the fog was the medication, not the postnatal depression. The next few months we were in the UK with family, where I got lots of rest and help and started the new medication. This was the start of getting better, but I was still unrecognisable, at least to myself. Fragile, introverted, tired, sad. When we got back in September last year, we (the Maternal Mental Health Service staff, my husband and I) decided that I was ‘partially treated’ and wasn’t getting the full benefit of the medicine, so we increased the dose. I had a definite step up at that point, with fewer bad days and more energy and resilience. 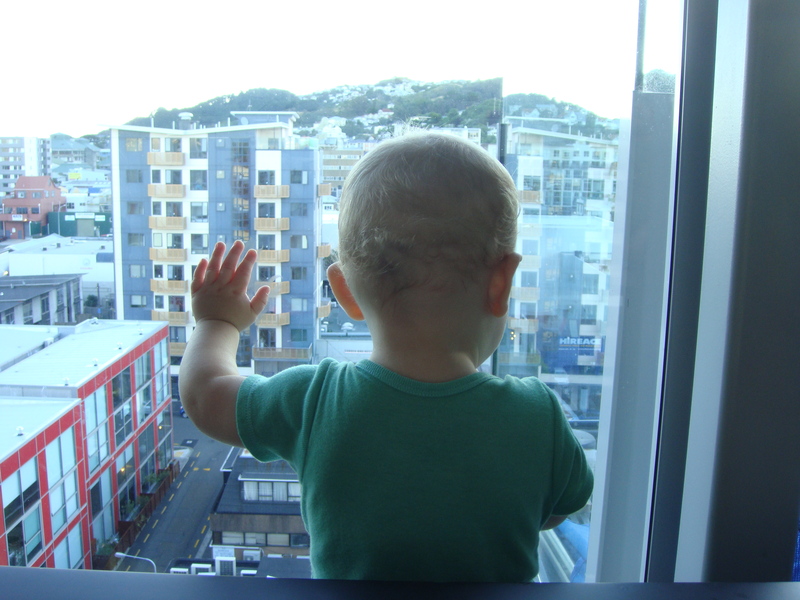 SBJ admiring the view from our new place. Moving into our own apartment in December meant I had to cope with running a household again, for the first time since SBJ was born. And I did! I didn’t feel any better, but I was coping with a lot more, so I clearly was getting better. A fortnight ago, SBJ and I were lucky enough to go on holiday with my parents in the beautiful South Island. Nana and Grandad took him for lots of walks and managed all the logistics, and we both had a lovely time with them. 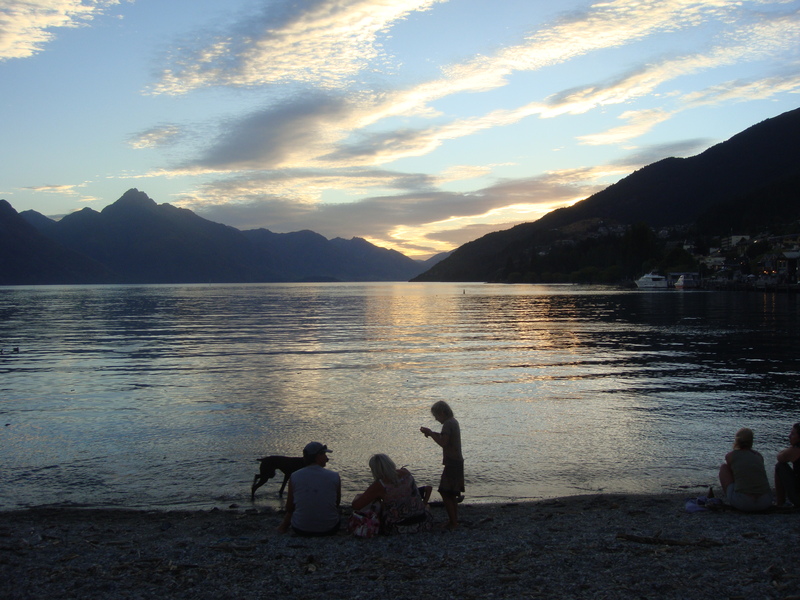 Lake Wakatipu, on our last evening in Queenstown. It was the summeriest week of the year, and we were paddling in icy lakes and ambling along waterfronts all week. I went for a run most days and ate plenty of ice-cream (in the interests of balance). Since we got back, I really have felt better. I’ve had the energy to plan things. I am interested in talking to people I see in the street rather than hoping I don’t see anyone I know, ever. I wouldn’t say I feel happy – possibly this is the dampening effect of the medication, still – but I haven’t felt terribly sad for a while. I can measure my progress largely in terms of energy, which is visibly increasing. I couldn’t have written or done this a couple of months ago. Thank you, all, for holding my hand as I walk through the fog. There’s a fair way to go, but I think I can see the end of the road. 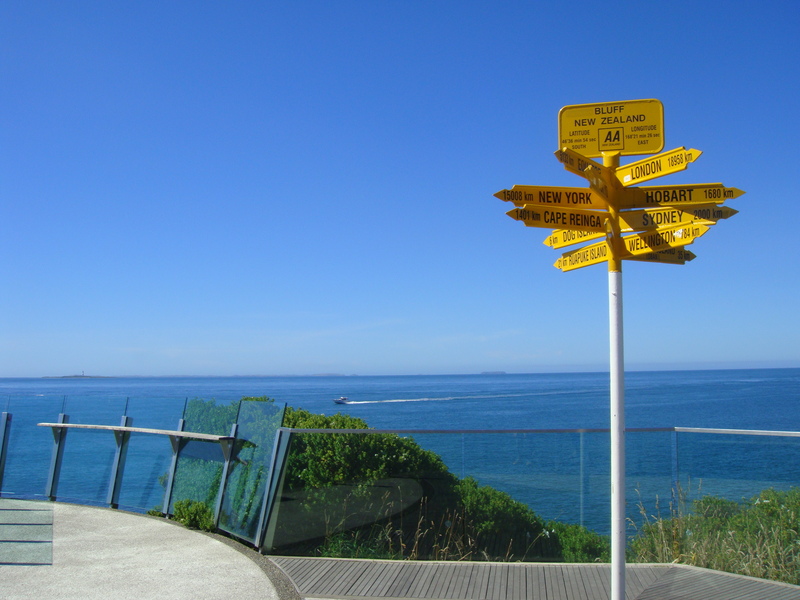 At Bluff, the southern-most point of the South Island, from where you can apparently go anywhere in the world. I love you!. Thanks for being so brave and generous with sharing your experience. Helps me to hear others talk about, and I bet there’s heaps of other women out there who just have or haven’t told you how much it means to them also. You are amazing. So thrilled that you are doing so much better! This is such good news. A wee light at the end of the tunnel is so much better than the darkness. That’s great news – really pleased to hear things are getting better for you.